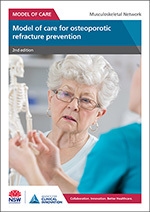 The Osteoporotic Refracture Prevention (ORP) model of care was designed to guide best practice coordinated, multi-disciplinary care to improve outcomes for people with minimal trauma fracture, resulting in reduced refracture rates and the resultant health usage, morbidity and mortality that refracture causes. 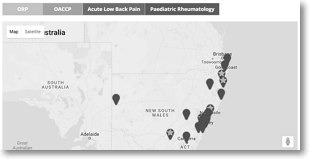 The key requirement is the development of Fracture Liaison Services (FLS) that can be coordinated from hospital out-patient or primary care settings, depending on the needs and willingness in local communities. FLS require the allocation of a health professional – often a senior nurse or physiotherapist – to coordinate the activities of the patient group, and access to a medical officer who can undertake the medical needs of the patients. The medical officer can be drawn from a range of hospital-based specialties or from general practice if contemporary evidence is consistently applied in that setting. This model is one of the eight Better Value Healthcare clinical priorities in the Leading Better Value Care program.